Situation: Following our success at the London 2012 Olympics, we immediately became a preferred supplier for the Commonwealth Games in Glasgow in 2014. Discussions began in early 2013 and a contract was signed in February 2014 to provide equipment and technical support for the hockey, rugby sevens and netball events. 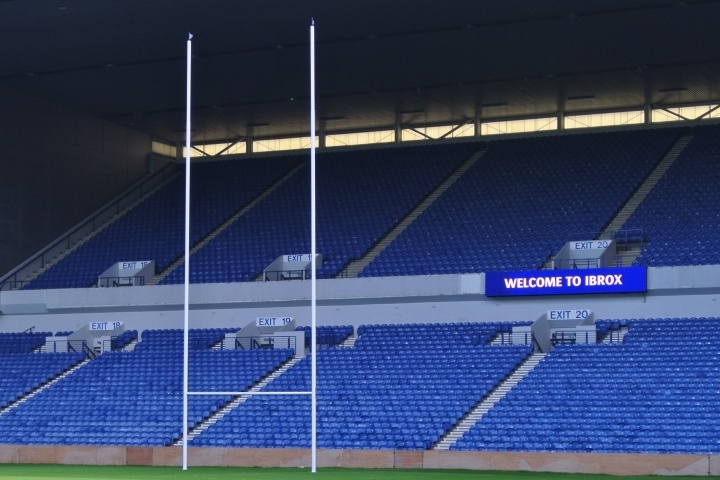 One of the biggest - and most exciting - challenges we faced was to help turn the iconic Ibrox football stadium into a rugby sevens venue. Ibrox, the home of Rangers FC, is world-famous for its atmosphere, generated by intensely passionate Scottish football fans. 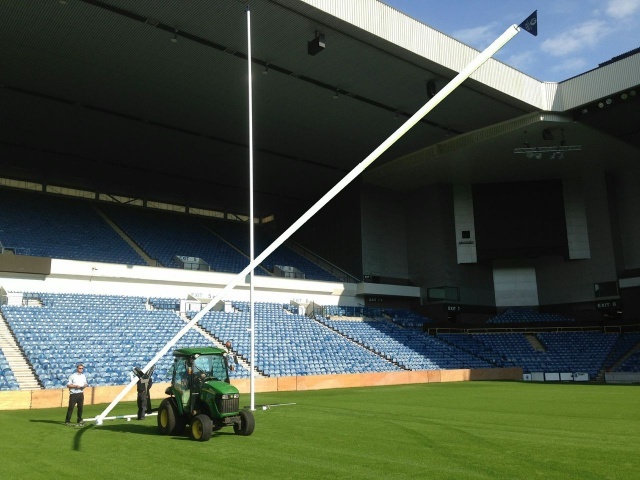 Solution: We worked closely with ground staff at Ibrox and, as can be seen in our photographs, we successfully installed the 17-metre rugby posts ready for use in the Games. It was the first time the stadium hosted a rugby event in its 127-year history. We were also delighted to supply the hockey field of play equipment to the Glasgow Green National Hockey Centre. The centre is based in the city's oldest park and underwent major redevelopment in the run-up to the Games. 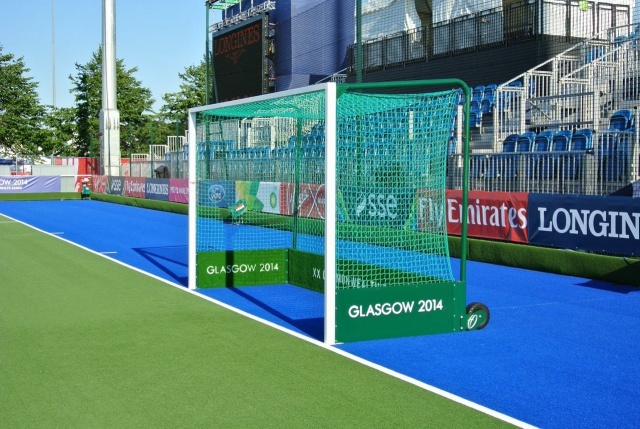 The athletes' training venues also received two sets of Harrod Sport bespoke free-standing netball posts, for athletes to use behind the scenes, in preparation for the Games. But we were proud to be more than just suppliers of equipment to the Games. Our team spirit and famous 'whatever it takes' mentality was demonstrated throughout the event with personnel on-site and on-hand to ensure that events ran as smoothly as possible. Outcome: The Glasgow 2014 Commonwealth Games proved a true Scottish success story as 6,500 athletes from 71 nations came together for a festival of sporting competition. Our hard work with Rangers FC and tournament organisers was recognised as the 'Rugby Sevens at Glasgow' was voted event of the year in the 2014 Rugby Expo awards. And Harrod UK London 2012 legacy hockey equipment is now installed at the Glasgow National Hockey Centre at Glasgow Green. "We chose Harrod UK because of their track record for supplying field of play equipment at world class events. Having worked with them at London 2012, we knew it was one area we wouldn’t have to worry about once they were on board, as their product, logistics and service are of the very highest standard."